OK, I just found this delicious recipe and HAD to share it. And I plan to make them. I LOVE biscotti, but don’t have it anymore because it’s empty calories and white flour. Does that not just say “tasty Christmas treat” to you? No flour, some sugar (which we can fix) and even vegan. I can’t wait–because it looks DELISH. You know I always want to have my cake and eat it too. . .as it should be. I found this recipe on Facebook, and it’s very similar to a Martha Stewart recipe I’ve made a few times with pecans and cranberries. I made some last year, but it was flour-based, and not for me. I did nibble on the ends of the biscotti, but you know what? As delicious as I remember them, they tasted like baked flour balls with pecans and cranberries thrown in. Neighbor K went bonkers for them, and if I get around to it, I’ll bake her some next week. But to me, the long-ago memories that I couldn’t get enough of were just, meh. 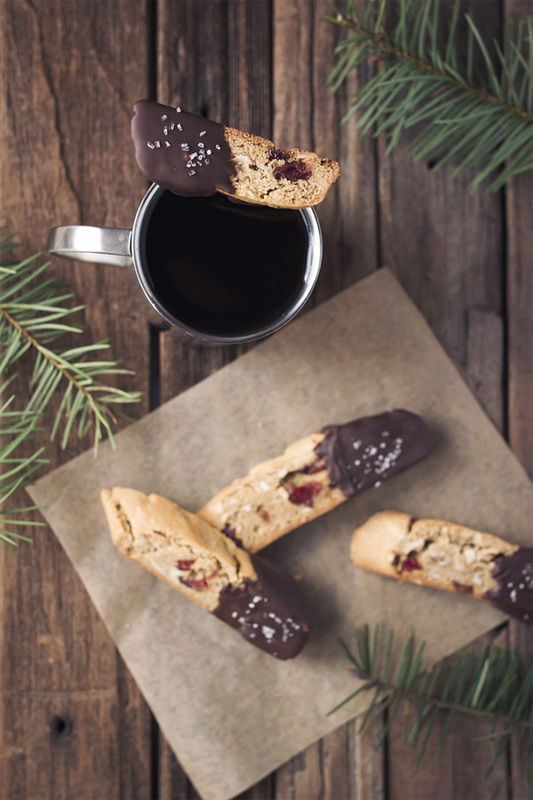 I will try this biscotti and report back, but I thought you should have the recipe now, so you have time to make some for yourself, your family, or your gluten-free friends if you want them. Thanks to the nice folks at Blog.FreePeople.com for this awesome treat. I can’t wait to make some!